Thanksgiving is right around the corner and it’s time to start planning your Thanksgiving menu. 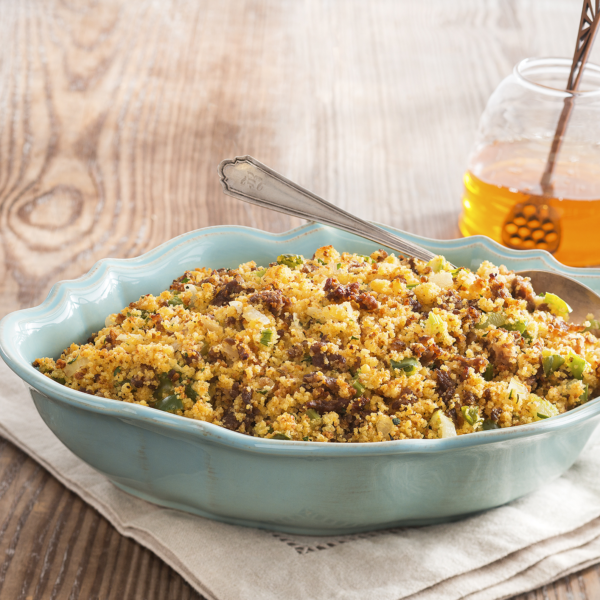 This is a great alternative to traditional stuffing for any of your family or friends who have a gluten sensitivity. Remove sausage from casing. In medium skillet, crumble and sauté sausage until brown. Using slotted spoon, remove sausage from skillet and add to cornbread. Drain all but 1 Tbsp of fat. Place stuffing in a greased 9×9 inch baking dish. Cover dish with foil and bake at 350°F for 20 minutes. Remove foil and bake another 10 minutes until stuffing is lightly browned. Previous 11 Ways to Taste the HEAT with Fiji Fire! Next Cocktails to try this Holiday Season!